Anfang August 2017 habe ich VMworld.net nach mehr als 7 Jahren offline genommen und die Domain auf mein neues Blog umgeleitet. 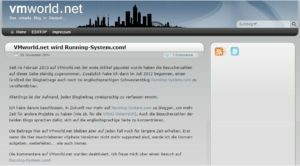 Die meisten Artikel von VMworld.net findet man hier auf Running-System.com in Englisch. 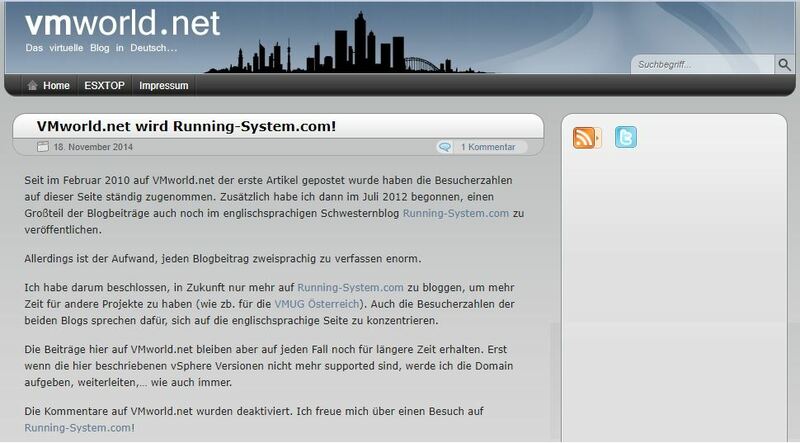 After more than 7 years of blogging, VMworld.net is now offline. Since August 2017 the domain is redirected to my new blog Running-System.com. You can find most of the old articles here.